Futurist Amy Webb says the media’s next big disruption will be in voice — how we talk to machines and how machines talk to each other. Media companies don’t have a seat at the table where that infrastructure is being built, she says, and the missed opportunities because of that could be fatal. Digital futurist Amy Webb turns her attention to drawing a blueprint for future journalism education, and in an extract from her forthcoming e-book, lays one out. Courses in macro and microeconomics are in her prescription, as well as the history of Silicon Valley and the philosophy of the Internet, along with two semesters of a newsroom co-op. 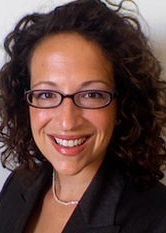 Digital media futurist Amy Webb says publishers can’t hold to the linear distribution model of their past if they want to hold their news consumers today. Instead, she says, they need better audience audits and data to understand how and when their content is being consumed. Webb also addresses local TV’s dying audience, the need for cybersecurity audits inside every news organization and a wariness about diving headlong into content for wearables.